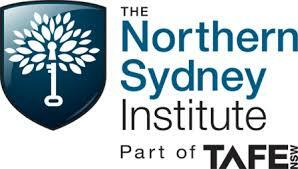 Zuni have worked with the Northern Sydney Institute, part of TAFE NSW, to develop and define a content strategy to engage with audiences across relevant digital channels in the most effective way. The content strategy looked at online channel roles, providing a working template for marketing coordinators to manage their content ideation and publishing schedules as well as the identification of organisational requirements within the institute. A workshop structure was developed for NSI to train relevant staff. The first workshop included Zuni participation to sense check the format and provide feedback where relevant. A measurements framework was developed to ensure that content consumption meets the business requirements that were identified in the strategic plan. Zuni liaised with internal technical teams to design a tracking solution that would work with existing systems and procedures. We engaged Zuni to deliver a content strategy for more effective engagement with our audiences across digital channels. The strategy that Zuni delivered provided us with a clear line of sight as to what messaging was required, in which channels, for each phase of our customer journeys. The strategy also delivered a working planning and production template enabling us to crowd source content ideas, evaluate these ideas based on formalised engagement principles and ultimately deliver detailed publishing schedules by both channel and faculty. Along with the strategy and production templates we also received a detailed implementation plan identifying what we need to do from organisational, technology and training standpoints to deliver effective and compelling content. – all in all a job very well done!